Camden, NJ (Sept. 29, 2012) – On Thursday, September 27, ABC News’ Diane Sawyer joined UrbanPromise in commemorating the nonprofit’s 25th anniversary in the city of Camden. Encouraging youth to “set the world on fire” and continue identifying solutions to poverty in the city, Ms. Sawyer spoke for 20 minutes during the celebratory banquet program at Collingswood, New Jersey’s Scottish Rite Auditorium. 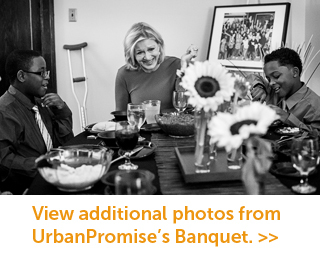 Nearly 1,000 individuals attended the dinner and program in support of UrbanPromise. In addition to speaking during the banquet program, Ms. Sawyer spent over an hour dining and talking with Camden children and families, whom she first met during her 20/20 special “Waiting on the World to Change.” The first program of the ABC News’ three-part series spotlighted the impacts of poverty, crime, and violence on Camden youth. Ms. Sawyer said her relationship with UrbanPromise has grown ever since. “UrbanPromise means to me: BFF; best friend for life,” she said. 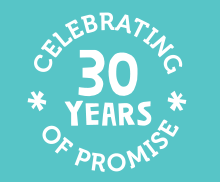 For the past 25 years, UrbanPromise has provided youth outreach to hundreds of Camden children and teens. Through after-school programs, summer camps, two private schools, job training, experiential learning, and more, UrbanPromise reaches around 600 of the city’s youth each year. Along with several other UrbanPromise children, teens, and alumni, Vega provided testimony of the nonprofit’s impact on his life and the city of Camden. In addition to the banquet, as part of its 25th anniversary, UrbanPromise is launching four new initiatives with the goal of providing better services to the youth and families of Camden. Its “Be Promise” anniversary campaign aims to: expand after-school programs, summer camps, and teen jobs throughout the city; make its two private schools (K-8; 9-12) more affordable; increase the amount of college scholarship money for its graduates; and launch the UrbanPromise Wellness Center, which will provide health and nutrition services to the organization’s youth, staff, and families. Notable banquet guests included: Dr. Tony Campolo, sociologist, professor emeritus of Eastern University, and founder of the Evangelical Promotion for the Advancement of Education (EAPE); Denise Morrison, chief executive officer and president of Campbell Soup Company; Carl Ortell, president of Automotive Resources International (ARI); Joseph Holman, founder of Holman Automotive, and Melinda Holman, the company’s chief executive officer and president. The month of October will be filled with stories of survival, struggle, and sled dogs at UrbanPromise! Along with several partner organizations, our youth will be reading Jack London's The Call of the Wild through The Big Read, a program of the National Endowment for the Arts (NEA) designed to restore reading to the center of American culture. UrbanPromise is among 78 nationwide organizations and one of 28 first-time grantees selected to receive grants totaling $1 million. UrbanPromise hopes to engage a large number of readers of all ages by holding events throughout Pennsauken Township and Camden, New Jersey. Our partners include the Pennsauken Free Public Library, EducationWorks, the Ferry Avenue branch of the Camden County Library System, Rutgers-Camden Universitys Paul Robeson Library, and BuildaBridge International. "This award is very important to UrbanPromise as it is our first federal funding and is focused on bringing a community together through the reading and study of the written word," said our executive director, Jodina Hicks. "The Call of the Wild includes themes of struggle and survival. Although the setting is different from Camden, the book relates to the challenges faced by our children and teens in the city."
Programs based on the book will be held throughout the entire month of October and will include book discussions, film viewings, a kick-off event that showcases sleds made by UrbanPromise students and live sled dogs, theatre and visual arts workshops, and talks by Rutgers-Camden University professors. Join us for our kick-off on October 6th at 11:00 a.m. at UrbanPromise! The final calendar of events can be found at www.neabigread.org. We encourage UrbanPromise friends and supporters of all ages and backgrounds to join us as we read The Call of the Wild. Extra copies of the book are available for those interested. Please contact Liz Getman at (609) 202-7638 or egetman@urbanpromiseusa.org to reserve a copy and sign up as one of UrbanPromise's Big Read-ers! The Big Read is a program of the National Endowment for the Arts designed to revitalize the role of literature in American culture and bring the transformative power of literature into the lives of its citizens. The Big Read brings together partners across the country to encourage citizens to read for pleasure and enlightenment. 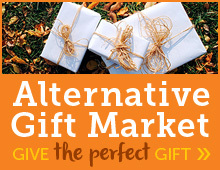 For more information, please visit www.neabigread.org. From a distance, I’ve always admired the work of Father Greg Boyle and his ministry Homeboy Industries. For years, Father Greg has offered job training and employment to former gang members and the recently incarcerated in Los Angeles, CA. Through several social enterprises, he encourages young people to abandon their destructive lifestyles and become contributing members of society. For the past 25 years, UrbanPromise has shared a similar message with the children and teens of Camden, NJ. Within each of our programs, our team reminds our young people that regardless of where they are from, the shape of their body, their grade point average, or family income—they are exactly what God had in mind when He made them. We remind our youth that they do not need to change to gain God’s love. God loves them regardless of who they are and what they’ve done. The most exciting part of this message is the way it impacts our young people—the changes that result as they “inhabit this truth” and embrace an outlook rooted in the assurance of God’s love. As they begin to dismantle the shame and disgrace they’ve internalized, their attitudes begin to change. And when attitudes change, transformation occurs. Transforming young lives is the center of UrbanPromise’s mission and vision. Our community looks forward to celebrating 25 years in Camden with you! Thank you for supporting us in this journey.